What: The Screaming Eagles visit the Blizzard in the first-ever meeting between the teams. When: Saturday, June 10 at 5:05 p.m. (PST). Where: Resch Center; Green Bay, Wisconsin. Head to Head: This is the first ever meeting between the teams. Note: Both of the Blizzard's wins have come on the road. Green Bay, like the Cedar Rapids Titans, have not won a home game this season. The Screaming Eagles are 4-10 overall, 2-5 on the road and 1-2 in inter-conference play. Salt Lake is coming off a 58-36 home loss to the Iowa Barnstormers on June 3. They are averaging 42.6 points per game and are allowing 48.8 points per game. The Screaming Eagles are fourth in the Intense Conference. The Blizzard are 2-13 overall, 0-6 at home and 0-4 in inter-conference play. Green Bay is coming off a 44-37 home loss to the Wichita Falls Nighthawks. They are averaging 31.9 points per game and are allowing 41.8 points per game. The Blizzard are fourth in the United Conference. Note: Some Blizzard stats maybe incomplete, as the season stats have not been updated on the IFL's stat page. Note: Roster information is subject to change and is presented here as a basic guide for following the game. Roster information is gathered from the IFL and the team's official websites, as well as other sources. Note: Roster information is subject to change and is presented here as a basic guide for following the game. Roster information is gathered from the IFL and the team's official websites, as well as other resources. The Screaming Eagles ran into a brick wall known as Jamie Bender last week in their 22-point loss to the Iowa Barnstormers. A loss was not unexpected given that the Barnstormers are tied for the IFL's best record. That said, Bender went off, intercepting four passes (returning one for a touchdown) and recovering a fumble. However, despite the loss, the Screaming Eagles have won three of their last five and will look to defeat a Blizzard team which has dropped 11 straight. The playoffs are out of reach, and this Salt Lake team will fold at the end of the season. But, with two games to finish out the season, there are other reasons for the Screaming Eagles to seek wins against the Blizzard and next week against the Spokane Empire. Several of these players are looking to take the next steps in their football careers. These players are intent on showcasing their talents for scouts in the National Football League, Canadian Football League, or even for other scouts in the IFL for next season. Maybe it will not be in front of the scouts directly, but the final two weeks will give these players the opportunity to gather game film to send to those scouts. One of those is surely to be quarterback Verlon Reed. The rookie out of Ohio St. would just as soon like to forget much of last week's five-interception performance. Reed was somewhat successful in that he completed 22 of his 38 passes for 245 yards and four touchdowns. Reed's 173.4 passing yards rank second in the IFL and he is third in touchdown passes with 47. He also is second in total rushing yards with 635 yards and in rushing yards per game at 45.4. Scouts could take a look at wide receiver Devin Mahina. The former BYU tight end had 114 receiving yards and three touchdown passes last week. He is third in the IFL with 4.79 receptions per game and fifth with 51.1 receiving yards per game. Chris Robinson has turned out to be a triple threat; in the receiving, rushing and return games. He's a speedster who can break a big play at any time. receivers Delric Ellington and Juwan Dotson also will figure into the passing game. When it comes to the defense, the Screaming Eagles feature the James Calhoun show. Granted, this is a talented group overall, but Calhoun has terrorized opponents this season. He leads the league with eight interceptions; six of which he has returned for a touchdown (four in the past four weeks. He also has 29 total tackles and six pass break ups. Ed Burns, Rashad Greene and Kelvin Lee will man the defensive backfield. defensive lineman Seante Williams and linebacker Jerome McElroy will be tasked with putting pressure on Blizzard quarterback Greg McGhee. Offensive efficiency and QB pressure on defense will be the main keys for the Screaming Eagles to come out of Wisconsin with a win. Reed will need to brush aside last week's turnovers and take what the defense gives him, because the Blizzard will provide him some opportunities. The Blizzard are having a rough season. There's no other way to put it. They have lost 11 straight games and possess the second-worst record in the IFL. 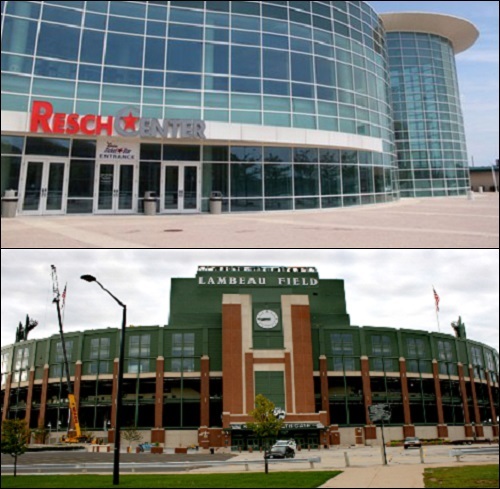 It's ironic that their arena, the Resch Center, is located across the street from Lambaeu Field; the legendary home of the Green Bay Packers of the NFL. Green Bay is definitely a football town. Despite their struggles this season, they typically continue to draw 5,000-plus fans to their games. 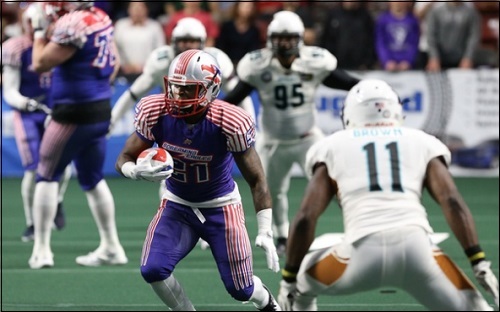 After being blown out two weeks ago on the road by the Iowa Barnstormers, Green Bay gave United Conference playoff hopeful, the Wichita Falls Nighthawks, all they could handle last week. 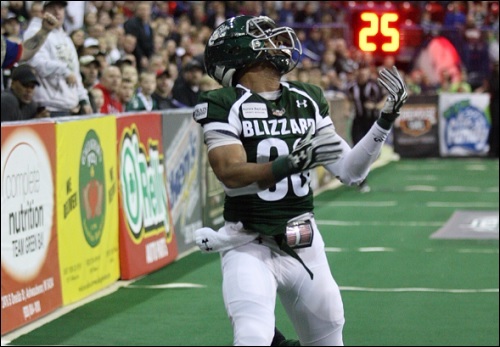 The Blizzard fell at home, 44-37, but were tied with the Nighthawks 37-37 in the final minute. It doesn't help matters that the Blizzard lost starting quarterback Matt Behrendt to injury five weeks ago. Behrendt had started the team's first 10 games and had put up solid numbers both in the running and passing games, where he led in most statistical categories. Enter Greg McGhee, who completed 60 percent of his passes in that game for 145 yards, three touchdowns and two interception. He ran nine times for 28 yards. McGhee could face some struggles against a young, but hungry, Screaming Eagles defense. He has some help around him. Darryan Ragsdale had 22 rushes for 68 yards and two touchdowns last week. Marquel Willis, Jack Bramswig and Andre McDonald make for a solid receiving corps. Each caught a touchdown against the Nighthawks. Defensive backs Manny Asprilla and Tyrell Pearson lead an embattled defense. The duo have combined for nine interceptions this season. Karl Mickelsen and Cory Grissom are capable of getting the the quarterback, but it could be a challenge getting to a mobile quarterback such as Salt Lake's Verlon Reed. Pearson, Asprilla and Jarred Evans could each see some time returning kickoffs for the Blizzard. If they are to win this game, they will need to put up points. Perhaps easier said than done. The other main key will be to force the Screaming Eagles into turning the ball over. Getting a win in this, their final game of the season, would be a solid "Thank You" to the fans which have been ever so faithful over the course of a challenging season. Player to Watch: Manny Asprilla (DB) . June 9 - Spokane Empire (8-6) at Iowa Barnstormers (12-2), 5:05 p.m.
June 10 - Nebraska Danger (8-6) at Sioux Falls Storm (12-2), 5:05 p.m.
June 10 - Colorado Crush (3-11) at Wichita Falls Nighthawks (11-3), 5:05 p.m.
June 11 - Cedar Rapids Titans (1-14) at Arizona Rattlers (10-4), 3 p.m.
* Denotes a conference game. All times are pacific. All games are available on the IFL's Youtube channel. The site of this game, the Resch Center, is located across the street from Lambeau Field, the legendary home of the NFL's Green Bay Packers. The Greater Green Bay Convention and Visitors Center sits between the buildings. The Resch Center was built in 2002 and holds a capacity of 10,200 persons. In addition to being the home of the Blizzard, it is also the home of the Green Bay Gamblers ice hockey team and the University of Wisconsin-Green Bay Phoenix basketball team It has hosted several NCAA hockey events, as well as concerts. Typically the Milwaukee Bucks of the NBA play one home pre-season game each season (most seasons) at the arena The Blizzard have called it home since their inception in af2 in 2003 and continued when they moved to the IFL in 2010. Lambeau Field was built in 1956-57 and holds a capacity of 81,435, which is the second largest stadium in the NFL and the third including standing room capacity. It is the oldest operating NFL stadium in the NFL Originally called New City Stadium, it was renamed Lambeau Field in 1965 after longtime Packers coach Curly Lambeau, who had passed away two months earlier. The facility is located on Lombardi Avenue, which is named after former Packers head coach Vince Lombardi, who won five NFL championships during his nine seasons as head coach; including Super Bowl I and Super Bowl II. The Packers, who have played at Lambeau Field since it opened in 1957, have overall home records of 227-116-5 in the regular season and 17-5 in the playoffs. We are about 10 minutes away from kickoff. Screaming Eagles will receive the opening kickoff. big tackle for loss for the Eagles. Nice dive after the catch by Bramswig. Over 11 minutes into the game and no score. Not a whole lot of offense going on. 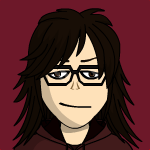 FG Blizzard. Jeff Budzien 17 yards. Full stats to be posted following the game. Touchdown Blizzard. Jack Bramswig 22 yard pass from Greg McGhee. Jeff Budzien kick. Touchdown Screaming Eagles. Chris Robinson 34 yard pass from Verlon Reed. Josh Wilson kick.